Every year, JCI members unite to exchange ideas, learn how to maximize their local impact and collaborate to discuss important challenges and opportunities that the Global Goals present. 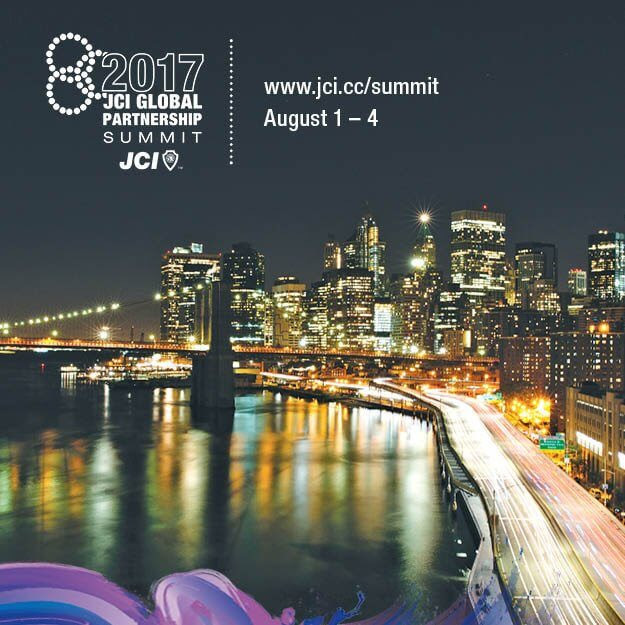 The 2017 JCI Global Partnership Summit’ theme: Sustainable Development for a Peaceful Future provides momentum for all delegates and speakers the opportunity to address international issues and show their commitment to becoming socially responsible leaders and start taking action toward building the future we want to see in 2030. These global forums enable members to focus on solutions for their region and how they can grow, improve, share and create positive change across communities. 6:30 PM – 4:00 PM (Eastern Time) at the InterContinental New York Barclay Hotel, 111 E 48th St, New York, New York 10017, USA. Pls take note that all participants must register in advance, as there will be no on-site registration. Registration is available at https://jci.cc/ourevents/summit/registration. For quick view of the FAQs, pls check the album of JCI Global Partnership Summit uploaded at the JCI Philippines 2017 International Caravan Facebook fan page. Pls feel free to post and advise us of airline and travel agency promos to New York. Attached in this circular are the ff supporting documents: registration procedures, summit fee, refund policy, wire transfer, event registration refund, visa procedure, guide on how to acquire a USA visa, most impt documents to strengthen visa approval, program, summit resolution, headquarters location, group rate, about NYC, public transpo options, tourism info, contact nos of JCI HQ. Should you have questions regarding visa filing kindly coordinate with Deputy National Chair on to JCI Global Partnership Summit, Abigail Legaspi, President of JCI Olonggapo Inc. at 09157666767 or 09478380977, email aglegaspi96@gmail.com. See you in New York U.S.A.!